superphoebe: got featured in ecometro! 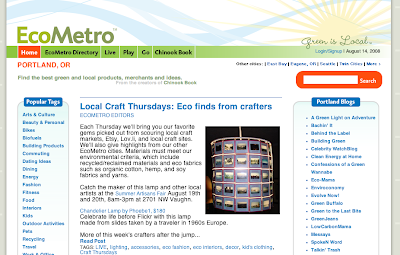 My lamps went and got themselves featured in ecometro for their "local craft thursday" section! Ecometro is pretty cool, and from the folks who give us the super awesome Chinook book!